Fly with British Airways and indulge in the high-quality service you’ve come to expect from the UK’s national airline. 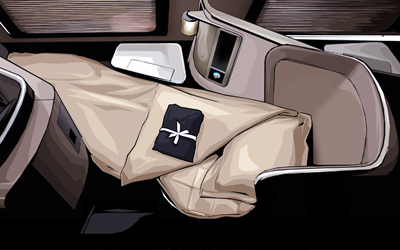 With Club World access, long-haul flights become a pleasurable experience. Make use of excellent business class lounges while traveling and use the fast track security lane to ensure you never wait in a queue again. 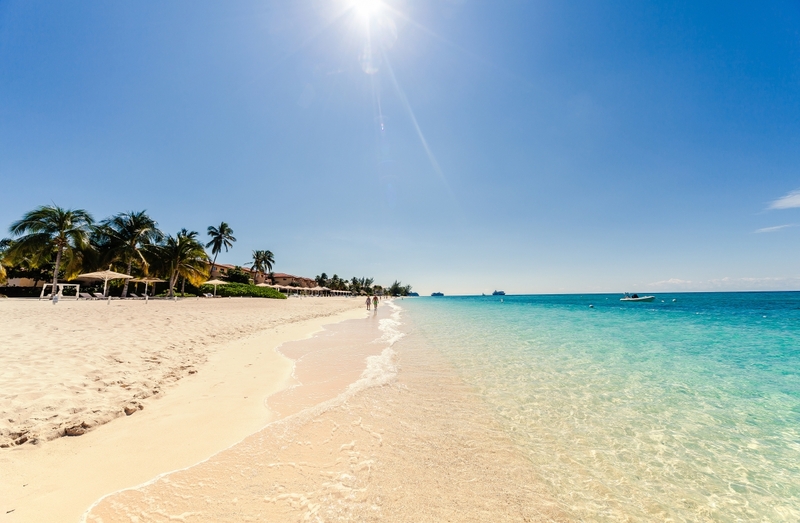 British Airways runs two flights a day from London Heathrow to Grand Cayman. The first leaves at 9:35, has a total flight time of 11 hours, and arrives in the Caymans at 17:05, just in time for a spectacular sunset. The second flight is a little longer at 16 hours and leaves Heathrow at 10:35. Stopping off at Miami, you then continue on with Cayman Airways to land at 21:35 in the evening. Flights to the Grand Cayman Island land at the Owen Roberts International Airport – a quick drive away from George Town. Once your business class flights to Grand Cayman land, booking a taxi on arrival is easiest and best option. There is a comprehensive rates card that you can use to determine the rate to your destination. The furthest distances are no more than £50 for a one way trip with 1-3 passengers. If traveling in a big group, you can pre-book a bus or arrange a limousine service with Majestic Tours. For those who want high mobility, there are plenty of rental companies available just outside the airport. While staying on the island, you can opt to use public transport (buses) to get around. Why not compliment your business class flights to Grand Cayman with a stay at one of the city’s top hotels. If you want a home away from home, then SkyClub recomends the Caribbean Club Boutique Hotel. It goes as far as to stock your suite’s kitchen with luxury ingredients – just in case you’re in the mood for a snack. Relax on the beach in style with complimentary cabanas and have dinner at one of the most popular restaurants on the island. The Seafire Resort + Spa is a state-of-the-art dedication to the luxury lifestyle. With rooms overlooking azure oceans, front row seats to the sunset, and access to all the resorts amenities, you’ll feel refreshed and rejuvenated by the end of your trip. Walk Seven Mile Beach – Walk along 7 miles of gorgeous beach and delight in powdery sands matched by sky blue oceans. Explore George Town – Traditional architecture meets modern shopping making this little town the ideal spot to pick up island treasures. The Turtle Center – Meet sea turtles up close and personal and learn about these incredible creatures with an interactive tour. 35% of our customers ranked a specific experience as the number one item on their bucket list. So, if you are feeling a little daring, why not combine your business class flights to Grand Cayman with a once in a lifetime experience? Sea and Sailing – Go snorkeling at Rum Point and delight in shallow waters teeming with life. 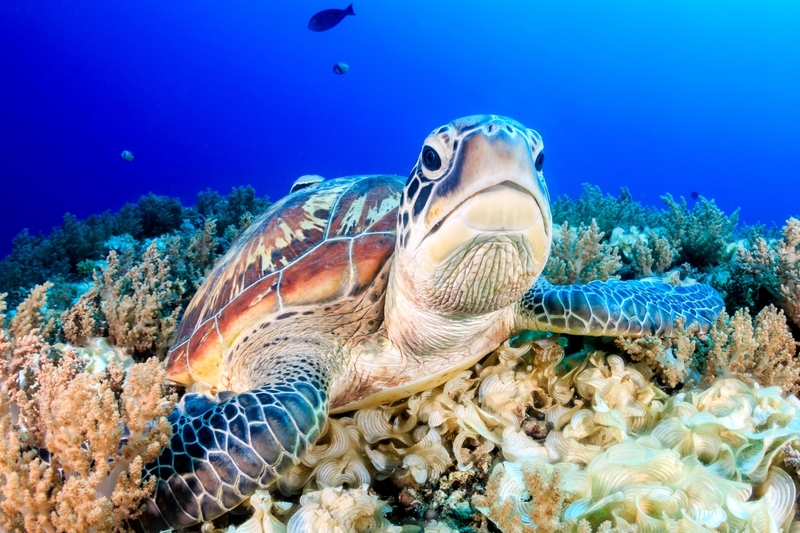 Scuba – Go scuba diving off the 1800 meter deep North Wall for eagle rays and sea turtles. Summit – Put on your hiking shoes and head up The Mastic Trail into lush rainforest. You do not need a visa to go to the Cayman Islands provided that you have a valid UK passport, have flown directly from the UK, and have proof of a return ticket to the UK. If you are unsure about your travel circumstances, please check the Cayman Immigration website for more information. The temperature in the Caymans is relatively consistent all year round. At its hottest in August, the maximum temperature is 31 degrees Celsius and it is coldest in January at a minimum of 20 degrees. Rainy season is from May to October, however, rains never last longer than a few hours. The best time to visit is from November to April when the skies are clear. To get the best cheap Business Class flights to Grand Cayman, simply complete the form on this page or call 0044 207 255 1234 to speak with one of SkyClub’s fast and friendly experts. We will find you special, discounted fares that are not available online. So, by the time you take your business class flights to Grand Cayman, you’ll feel happy knowing that you’ve paid less than the people seated nearest to you! Have a great trip and – if you want to save money – please book with SkyClub.